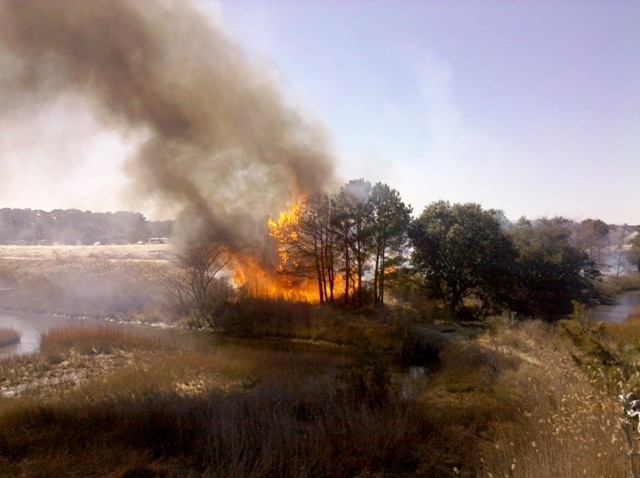 Strong winds, dry conditions and fire resulted in a scary situation for Cape Story and Long Creek Cove residents on Saturday. 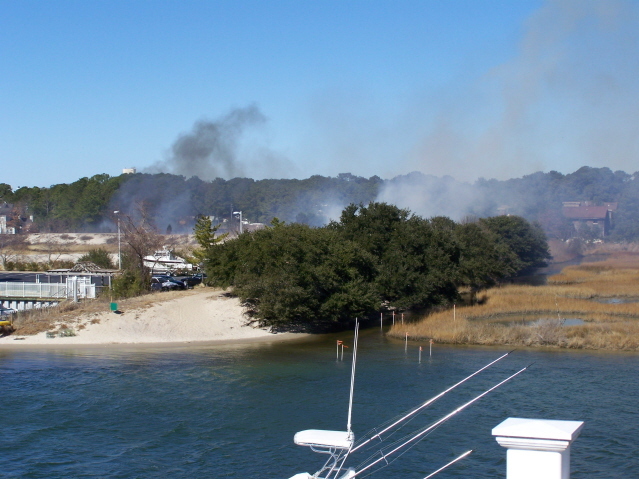 Luckily, the wind was blowing in a favorable direction to keep the fire from spreading to Cape Story and Long Creek Cove homes as well as the boats at Marina Shores. 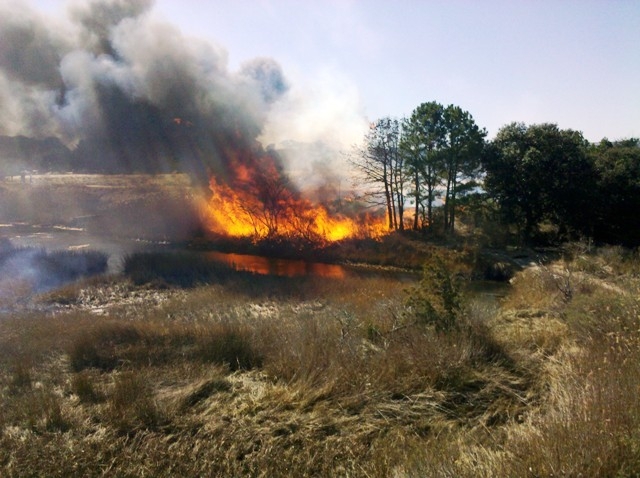 The residents are also thankful that Virginia Beach’s finest firefighters were able to put the fire out in a short period of time without incident.